Sam Bergman has been a member of the Minnesota Orchestra since February 2000. 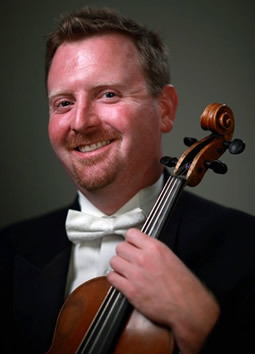 In addition to performing in the viola section, he serves as host and writer for the orchestra’s acclaimed Inside the Classics concert series, and in 2012, he helped to lead The MicroCommission Project, which brought a major new symphonic work by composer Judd Greenstein to life with the help of more than 400 small donors. He also serves as Principal Viola of the Cabrillo Festival of Contemporary Music, plays regularly with the IRIS Orchestra in Memphis, and has appeared as a substitute musician with the Chicago Symphony, the Philadelphia Orchestra, the New York Philharmonic, and the Atlanta Symphony.